Challenge-Mania and Huge Storewide Sale! Welcome to another Special Edition of The Groove with guest contributor Kimmyann! You know Kimmyann from the Scrapbook MAX! online community as an exciting, creative challenge host with a knack for helping out with questions and cheering scrappers on. 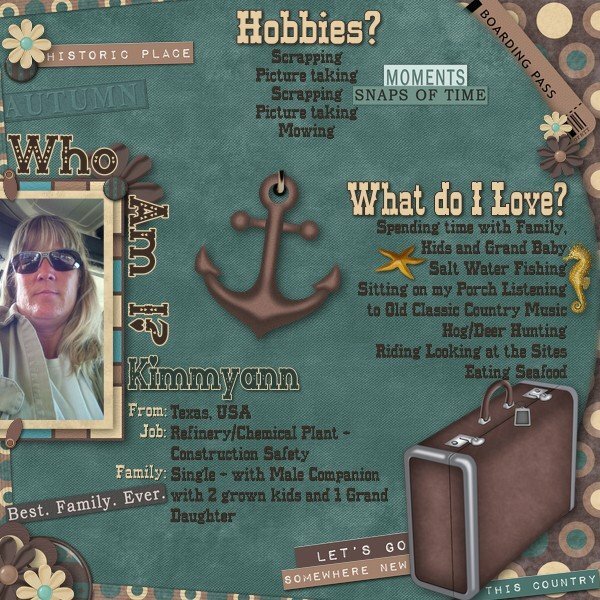 Kimmyann shares some of her story below and some of her favourite layouts (so far) … as well as another one of her signature challenges for you to try! 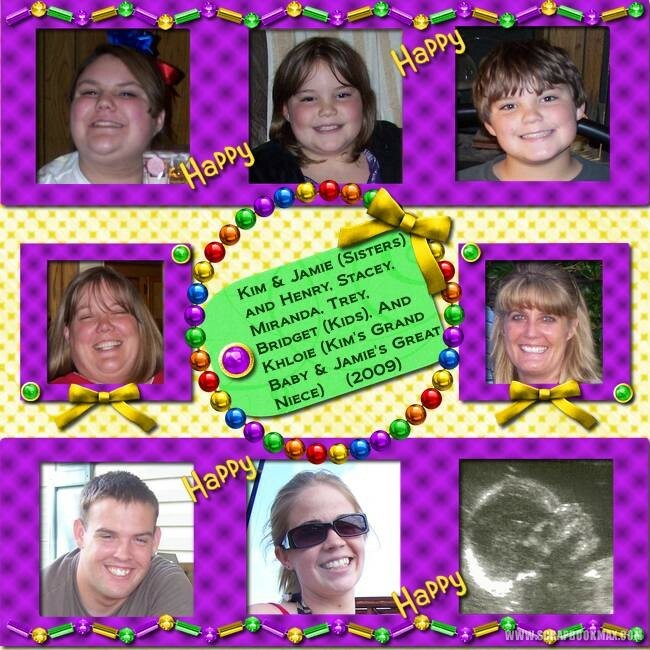 Read on for Kimmyann’s story PLUS details about a HUGE sale in the store, and other exciting scrapbooking info! Hello, my name is Kimmyann and I am a scrapoholic! !I have always liked to dress up my photos and if you look through my photo albums you will also see I have always loved shapes too. I would trim my “hard copy photos” into shapes. On March 1, 2009 while searching the web for an alternative to paper scrapping, due to time, space, and MESS, I came upon the wonderful SBM website and have been hooked ever since. I downloaded the trial version and within a few hours had to have the full version. No mess, No clutter (except disk space), and the options are endless with digital scrapping. Hook, Line, and Sinker!! Kimmyann found a great program and community. Everyone was so inviting and helpful. This is why I try to help with as many with questions as I can – my way of paying it forward. I joined many challenges in the beginning trying to learn the software and soon became one of Knzus’s CTs. I have been on several different CT groups and I Love every minute of it. Thanks Kimmyann for a great write-up, and for everything you do for our community! Find Kimmyann’s CHALLENGE later in this issue! It’s time to stock up on fabulous digital kits and templates from the Scrapbook MAX! 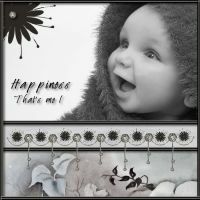 Digital Scrapbooking Kits and Templates Store. Right now, when you shop in the store during our FALL FUN SALE, you can receive a whopping 30% off your entire order! 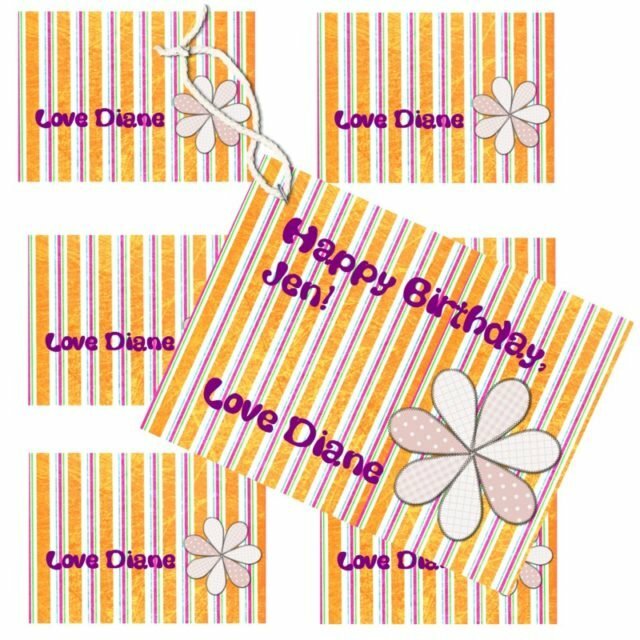 Now is the time to stock up for birthdays,school days, family days, Christmas, holidays, and every day! – HURRY! Sale ends on October 15, 2014 and is valid on new orders only. So everyone knows Kimmyann loves a good challenge and coming up with challenges is fun, too. I am constantly thinking of what could be a fun challenge. SHAPES!! I want you to use SBM and make your own shape(S). It is really easy!! – Open Scrapbook MAX! to a new scrapbook. (I named mine Shapes.) Leave the Background white. – Now choose a Paper Scrap and color change it to solid black (HINT: bring in the paper as a Photo which will allow you to use the eraser on it in the next steps). – Choose any shape from SBM. Bring it in as a Photo, place it on the white background stretch it to the size you want. – Now you can customize the shape you just brought in by applying OTHER SHAPES shapes to make whatever you want OR use the black tile and the eraser to block out and/or erase parts of the black tile to make your desired shape. – Now make a page using your shape!! 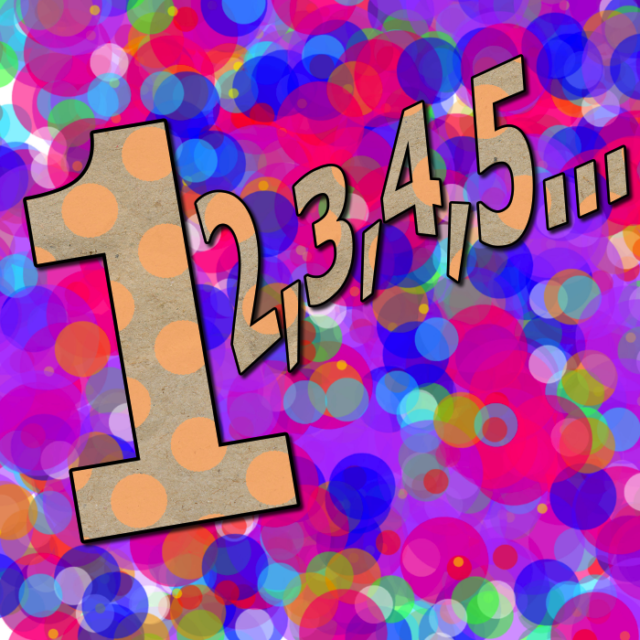 Remember SBM2 you can even invert your shape, so you get 2 shapes for the time of 1. – Post your page here to join the challenge. Have Fun And Big Hugs from Kimmyann!! 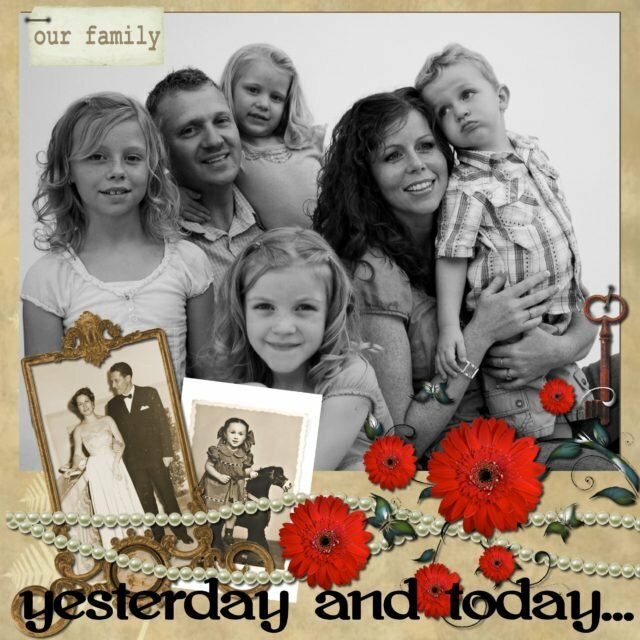 Check out SBM Diane’s ONGOING My Family History Challenge. If you’ve ever wanted to create a scrapbook tribute honouring your history, now is the chance to find motivation, inspiration, and specific ideas to support you! Plus, look for occasionally prize announcements! 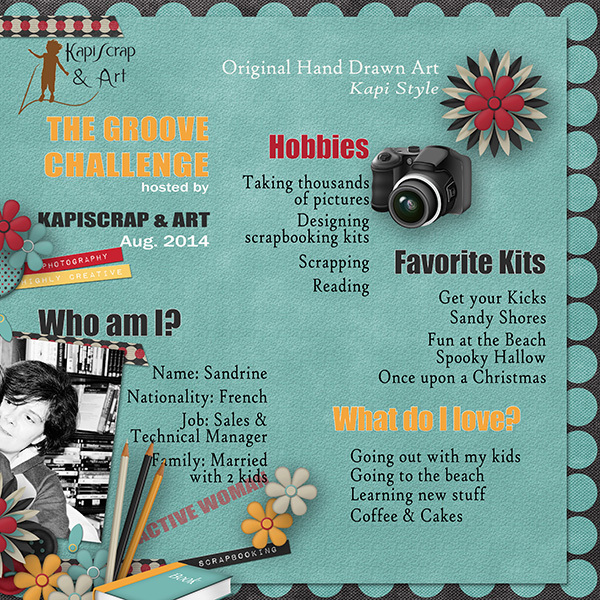 Another great challenge from Sandrine (KapiScrap) is also on the go right now. Now is your chance to Customize Your Forum Signature for Autumn! A Challenge, A Freebie and a Great Sale! Presenting a Special Edition of The Groove with lots of treats and fun in store for you! This issue is hosted by Scrapbook MAX! kit designer Sandrine Boarqueiro-Verdun (a.k.a. KapiScrap). 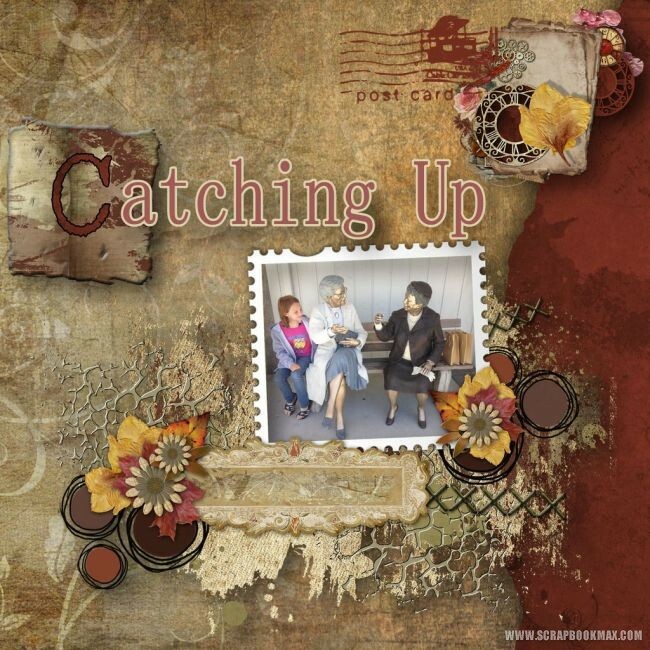 A big thanks to Sandrine for sharing her creativity – and a FABULOUS freebie! Make a layout page (square size) to introduce yourself. You should add at least one picture of yourself. Once you’ve made your page, please post it in this Challenge Thread. In order to be eligible for this freebie, you need to participate in the above challenge, posting your page here by August 31, 2014 . At the end of the challenge, Sandrine will send a private message to all participants with a link for you from which you can download your prize. For one week only, you can get 20% off on Sandrine’s kits! To get the discount, please visit Sandrine’s category in the Scrapbook MAX! Digital Kits and Templates Store. Add a minimum of $5 worth of Sandrine’s kits to your cart, then type in the code SUMMERTREAT exactly as shown into the ‘Coupon Code’ field before checkout. You must type in the code at the time of purchase to get the discount. Hurry – offer is one week only and ends on August 20, 2014! Valid on new orders only. Welcome to another Special Edition of The Groove, hosted by Scrapbook MAX! digital kit designers Kaye Savic and Deanne Gow-Smith. 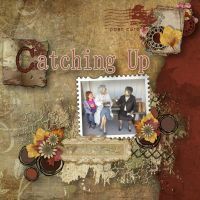 Kaye tells us the story of how this dynamic duo has come together to make creative new kits that are sure to dress up your pages. 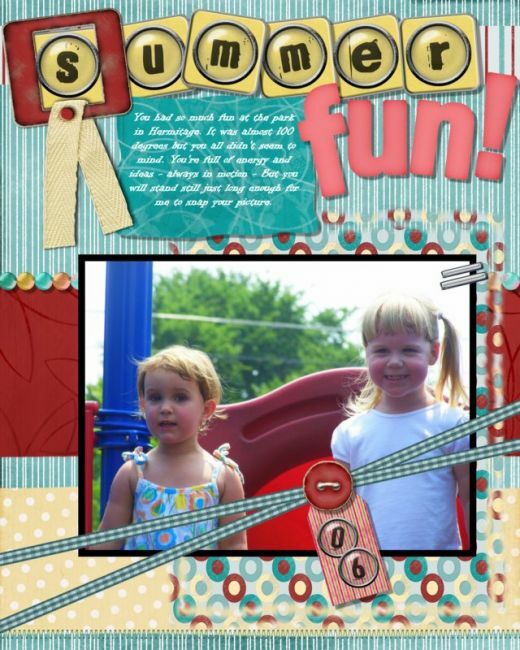 Then, join the fun of a new scrapbook challenge – not only may you learn a new Scrapbook MAX! technique or two, just for participating, you’ll get a special 20% coupon to use in the store (details below)! 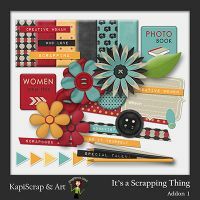 Enjoy this issue, and be inspired not only by Deanne and Kaye’s beautiful kits, but the scrappers who use them (see their layouts featured throughout). Deanne and I have known each other for about 20 years. We even worked together in the same store for a while. About 15 years later we came into contact again. 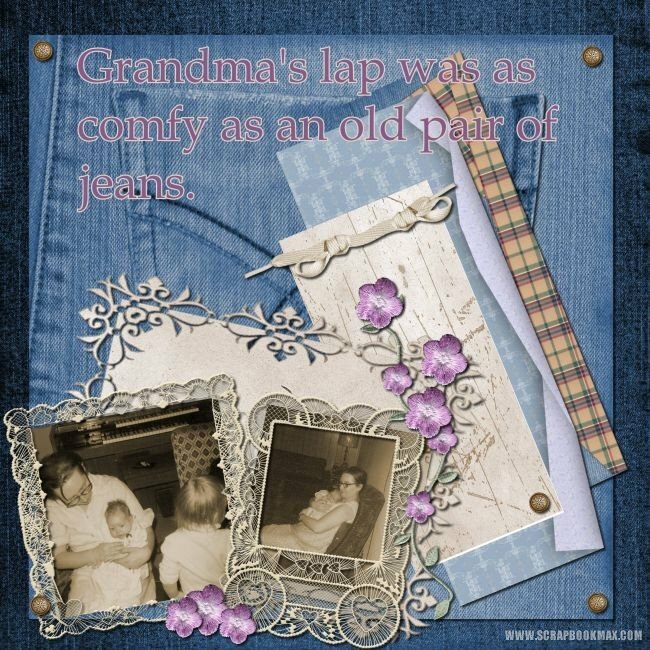 Deanne was working as a designer with Scrapbook MAX!, I had no idea that digital scrapbooking existed. Deanne showed me photo books that she had made with Scrapbook MAX! software and told me about how she had a section in a store called Scrapbook MAX! where she sold digital kits. This was a whole new world to me, a new and exciting and artistic outlet. She gave me lots of her kits and suggested I download Scrapbook MAX! and said: play and see how you go! She had shown me something that allowed me to express an avenue of art that was hidden inside of me.I came to the website and was into it all! I loved the challenges and learned so much. Deanne kept encouraging me to think about becoming a designer, but I didn’t have the confidence. So I became part of her Creative Team. After a few years, Deanne suggested we collaborate together and create kits. 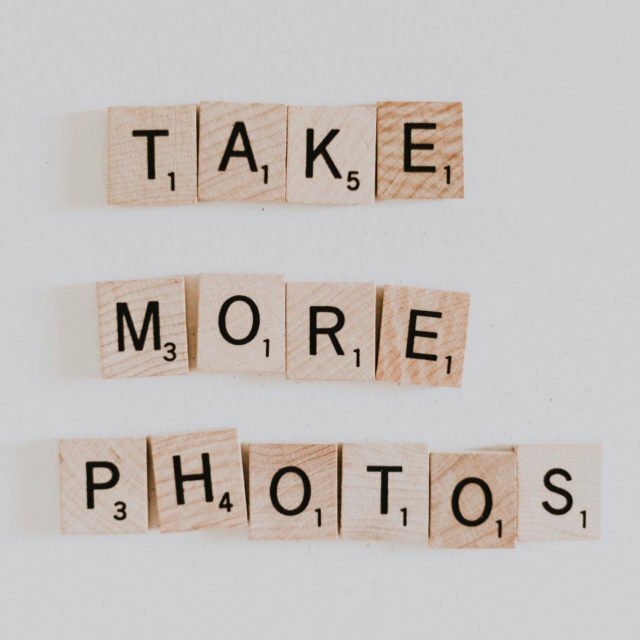 This way we could pool our strengths and together create collections that could be quite large – large enough to create a whole photo book with a coordinating theme. So we brainstormed, and while she puts together the main kits, we both produce everything with the same elements as coordinated add ons – anything we could think of that would be needed to make an entire printable book of the same theme. The collection ends up being quite large and people can have a wide variety of products from us. We are both enjoying working together again and being in touch all the time because you see we now live thousands of miles apart. This is kind of special for us to do collaboration work and be in contact almost daily. We have a wonderful CT group that is whipping up some awesome page layouts too. Hopefully Deanne and I will keep on doing Collaboration Collections for a long time to come. This month we have a special challenge for you! To participate, visit our challenge thread here. This challenge was inspired by one of our community challenge participants, Fonzzy! She created a challenge that required people to make their own embellishments from items in their home. Someone asked how to save them as PNG files. …Then to recolour them to match another kit you use for your LO. You can save them as PNG files and add them to your kit. So to save as a PNG file you recolour the way you like it, make sure the image is clicked onto and right click and then save as PNG. Save it into the kit you used, but rename it something like Kaye’s recoloured flower, just so you know it is something you have added in and not part of the original kit. Feel free to use any other elements you like with the main kit that you use, but you must use the 3 items I mentioned at least twice each. You can also recolour them as many times as you want. 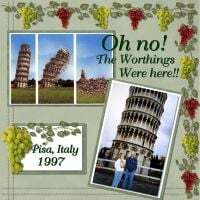 If you take part in the challenge described above, Deanne and Kaye will send you a special coupon code at the end of the challenge valid for one week allowing you to save 20% off on purchases of $10 or more in the Scrapbook MAX! 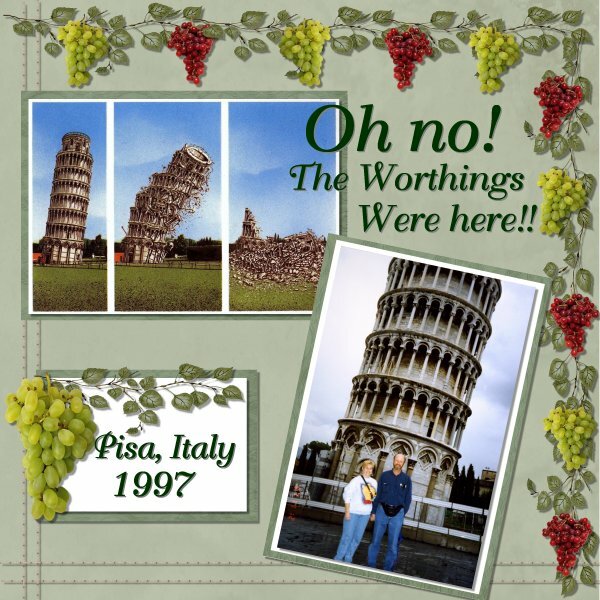 Digital Scrapbooking Store. Please note that in order to receive this coupon you must participate in this challenge – that is, you must post a layout that follows the above instructions in this challenge thread by the contest’s end on July 5, 2014. (Participants may submit multiple layouts to the challenge thread; however, only one coupon code per participant will be sent.) The challenge closes on July 5, 2014. Beginning next month, your favorite scrapbooking newsletter is taking on a new and exciting format – on Facebook! You’ll still find all your favorite features: great scrapbooking tips and tricks, digital freebies, scrapbooking challenges, outstanding layouts by Scrapbook MAX! community members, spotlights on designers and scrappers, and more. 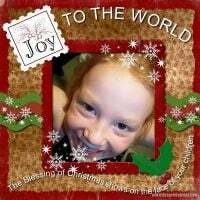 But best of all, with our new Facebook format, instead of getting one monthly newsletter, you’ll be getting scrapbook inspiration and news posted several times a week for scrapbooking fun all month long! Now, get even more “groove” right now on Facebook at http://www.facebook.com/scrapbookmax – there’s already tons of content to explore. Be sure to “like” us in order to make sure you’re getting all the most recent updates – and don’t forget to tell your friends! Thank you to all our loyal readers who have tuned in to The Groove each month since 2006. Throughout this issue, we’re featuring some spectacular layouts from past Groove contest for you all to enjoy! 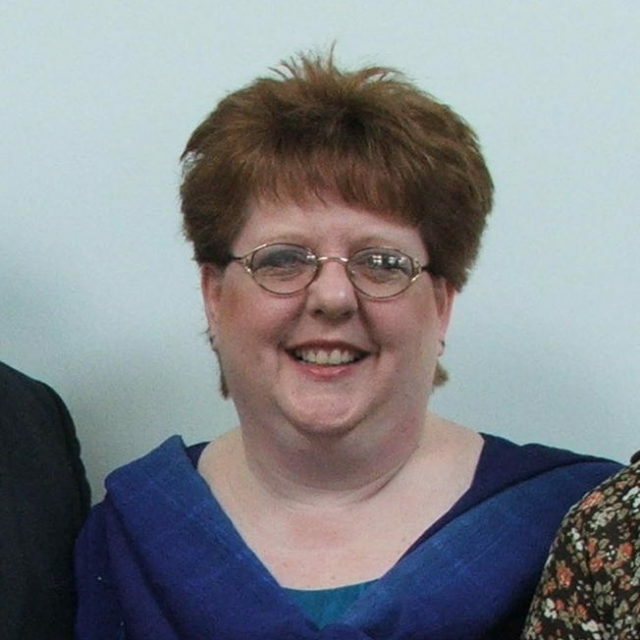 Meet Carolyn Ritter, a “new” Scrapbook MAX! Digital Kit Designer, – although she has been making gorgeous designs since 2007. We’re so glad to have Carolyn aboard! If you haven’t already checked out Carolyn’s ever-expanding category in the store, now is the time! Combining a love of craft, an ability to design on many themes, and an obvious flair for color, Carolyn’s designs are sure to inspire your projects! 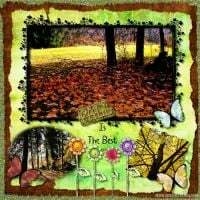 In fact, Carolyn has shared a beautiful fall-themed freebie for you to enjoy, and a fun challenge to get you scrapping (read on for more details). 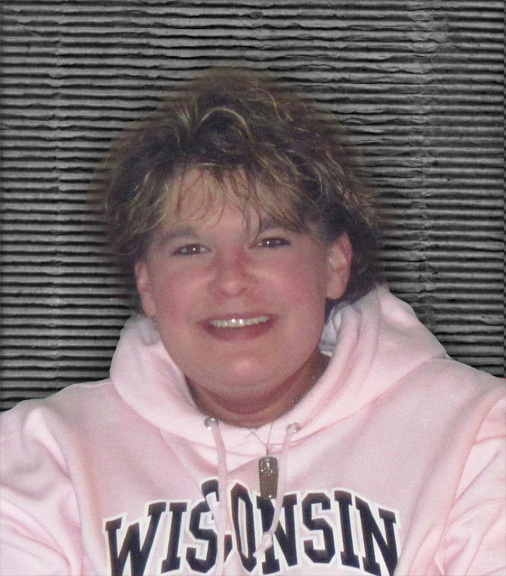 Learn a bit more about Carolyn now as she introduces herself in her own words. I’m a mom of two young adult children, a pastor’s wife and a crafter. I have always loved all types of crafts — sewing, crocheting, knitting — you name it, I liked it. So, of course, when scrapping became popular, I was right there with everyone else. I was a traditional paper scrapper for many years (and still scrap that way occasionally since I have so many things to use up). However, I have also enjoyed working on my computer. When I found digital scrapping, I knew it was a “match made in heaven”. LOL!! But my love for the two combined didn’t stop there. I loved all the digital kits that were out there, but I just never seemed to have what I needed for my layout. That’s when I decided to really learn my program and become a designer. That was back in very early 2007. I thoroughly enjoy what I do and look forward to many more years of designing. I enjoy creating most any type of kit and there are many things that inspire me. However, I think that my favorite ones are seasonal kits, especially fall and winter as those two seasons are my faves. As I get more kits uploaded to the store, more of those types of kits will be there. I have lots of ideas for future kits, including a wedding series. I’m excited about being part of this community! Get involved in a fun challenge to expand your scrappin’ skills – and get a fun freebie in the process! 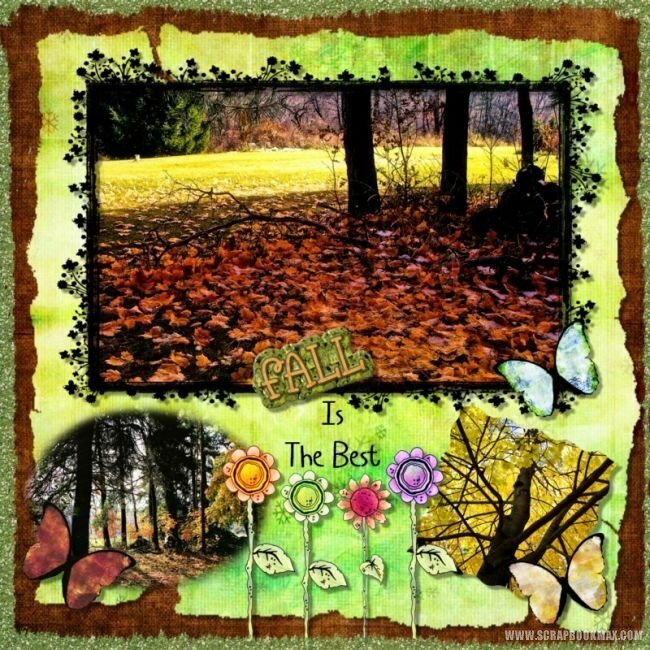 This month, designer Carolyn Ritter has supplied a fabulous fall freebie that you’re going to love. The challenge is to make not one but two layouts, one on a fall theme, and one re-colored for a different seasons. Click here to get the freebie, the challenge details, and to get started! 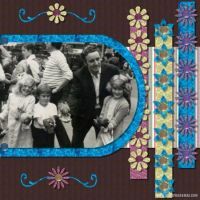 Love the style of Carolyn’s freebie above? You can get 10% off of four of Carolyne’s kits this month (pictured below) available in the Featured Content section of our store! All you need to do is add the kits to your cart, and use the coupon discount code CAR-SEP. Applies only to the kits found in the Featured Content section of our store, new orders only. Offer expires September 30, 2012. This layout was The Groove’s very first content winner, all the way back in July of 2006! 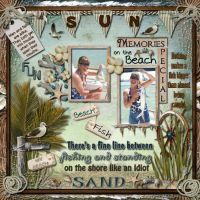 What a gorgeous summer layout by Julie C. – it still inspires today (isn’t that the great thing about scrapbooking? Keeping memories and moments alive)! Well, we’ve had some great times as a monthly publication! We hope you’ll join us for our new chapter on Facebook as an even better, more interactive, more news and inspiration packed “scrapbook groove”! Be sure to Like us on Facebook and tell your friends today. And…stay Groove-y! There are still a few great weeks of summer left and we plan to hold on for as long as we can! We’ve included some bright, summery layouts for you to enjoy such as tin tin’s awesome beach layout above (love how the layout looks perfectly sandy!). Michelle McCoy’s cute summer freebie mini kit will be perfect for your pages, and we’re also highlighting some fun kits from the store that will add some color and punch. Read on for more details! 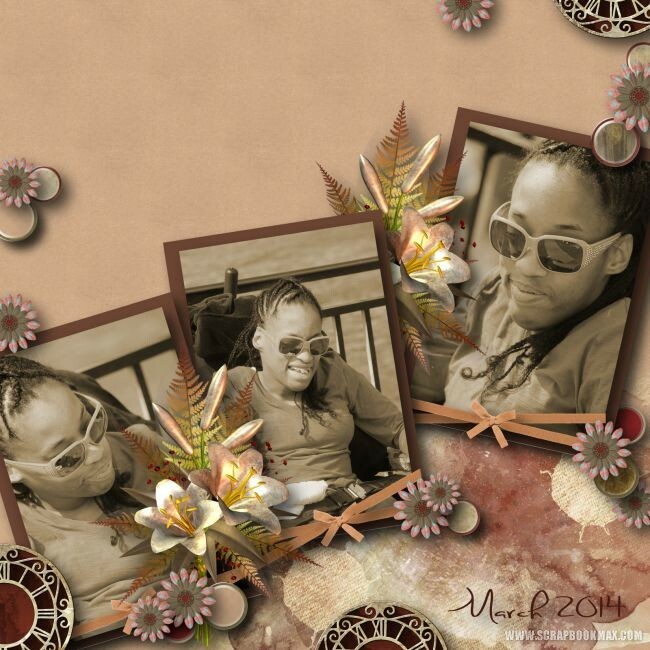 You’ll also find a terrific profile on designer Michelle McCoy along with some of her layouts made by Scrapbook MAX! members. And don’t forget to look for a discount on this month’s featured kits! I’m thrilled to be the featured designer of the month and to be a part of the SBM community. My name is Michelle McCoy and I’m a single mom of two wonderful sons. I’m no longer able to work due to many medical conditions. I’m a Diabetic who recently had my right leg amputated. I also have heart disease, neuropathy, a rare skin disease and a kidney disease that requires me to be on Dialysis 3x a week to stay alive. It has changed my life, and I am grateful to have so much love, support, encouragement and positive thoughts from family, friends and from the scrapping community. 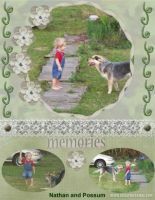 I got involved with digital scrap-booking while searching for a birthday card to print and came across Scrapbook MAX!. It looked interesting, so I went to the website, loved the community and the software! I’ve been hooked ever since and have been designing for almost 5 years now as Crafty Scraps. I am always trying to inspire others, whether they are first time scrappers or scrappers that have been creating beautiful things for years! My favorite kits are any with my snowmen in it! In my free time, I like to write poetry, relax with my kids and spend time with my furball – Boo Bear. 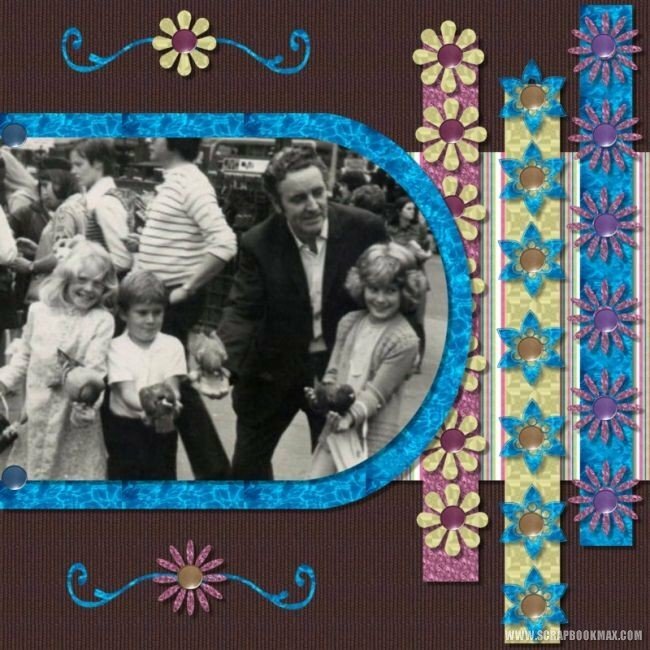 Great collage – trust Michelle to get this creative! 😉 – and beautiful layouts Lori, Jana, Sandrine and Linda! Each month a designer shares a freebie with Groove Readers and challenges you do to something fun with it! Find Michelle’s “turtle-themed” freebie and “sticker” challenge here! Note: The challenge takes place in the forums here. But because Michelle included two mini-tutorials, we thought we’d include it here, too. Feel free to use Michelle’s tips in any layouts you are working on! *Use one of the papers in the download on your layout. *Bring in another background from the my mini kit into your work space as a Paper Scrap or a Photo. *You can use anything else on your page to finish it up. *Upload your page to the gallery, then here in the post. * Thank you for playing!!! 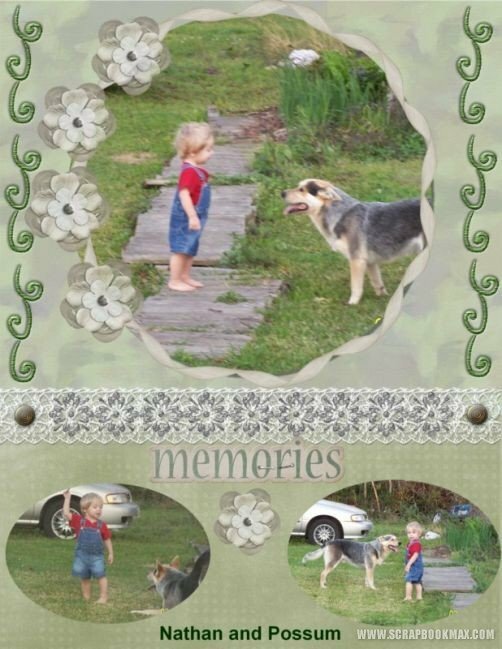 Love the style of Michelle’s freebie and the kits showcased in her cute collage above? You can get 10% off of four of Michelle’s kits this month (pictured below) available in the Featured Content section of our store! All you need to do is add the kits to your cart, and use the coupon discount code MMC-AUG. Applies only to the kits found in the Featured Content section of our store, new orders only. Offer expires August 31, 2012. Is there anything more romantic than a beach wedding? 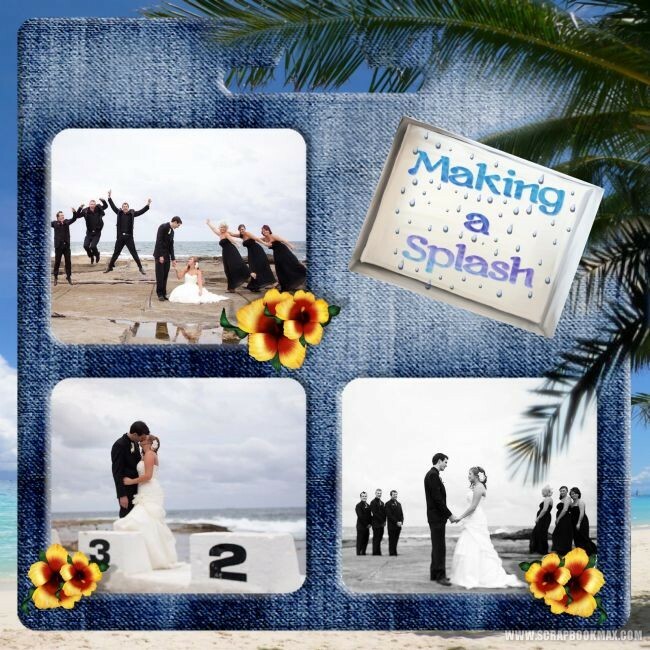 We fell in love with fonzzy’s beach wedding layout, especially her use of the gorgeous blue background. Its color said “the sea” and also contrasted beautifully with the lighter tones of the beach and bride’s gown. Gorgeous! Look for the next issue of The Groove on September 1, 2012! Summer time has arrived! Time to scrap days at the beach, long afternoons on the porch, summer hikes, games and other adventures! 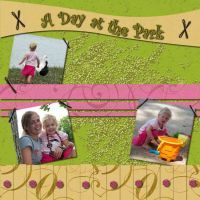 To get you all inspired, we’ve kicked off this issue with Kimmyann’s Day at the Park. Love those summery, watermelon-like colors that evoke the tastes of summer! You’ll also find a scrapper profile focusing on Scrapbook MAX! designer extraordinaire Fiona Storey. Fiona’s giving away a summer freebie, too along with a fun challenge. You’ll also find a discount on featured kits, and more layouts to inspire your summer scrapping! ONE MORE THING! There’s a HUGE summer sale going on in the Scrapbook MAX! Digital Scrapbooking Kits and Templates Store! Read on to see how you can save a whopping 20% off your orders this month! HUGE SUMMER SALE ON DIGITAL KITS! 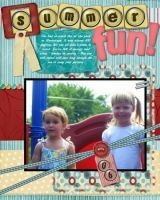 From now until July 31, 2012 you can get 20% off on orders of $10 or more in the Scrapbook MAX! 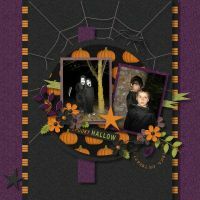 Digital Scrapbooking Kits and Templates Store. Choosing from any of the kits and templates in our store, simply add at least $10 worth of products to your cart, and type in the code SUMMER exactly as shown in the coupon code box before completing your order. This is a great time to stock up on kits for all your summer scrapbook projects! Check out what’s new and cool, use the coupon code, and save! 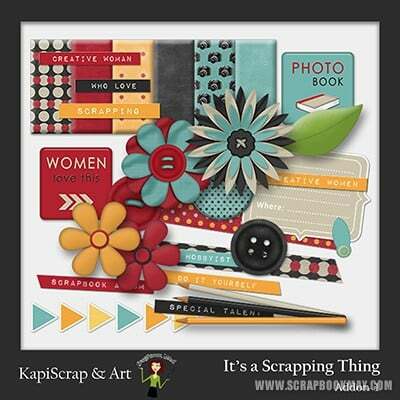 Note: Offer applies only to digital kits and templates sold in the Scrapbook MAX! 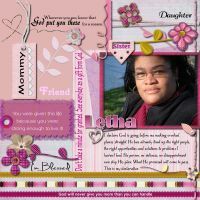 Digital Scrapbooking Kits and Templates Store, on orders of $10 or more. Coupon code must be typed in before checking out. Valid on new orders only, expires July 31, 2012. I have only been designing since 2006. It all came about by accident, but then the best things always do! I was looking for a way to re-size my embellishments to fit on the handcrafted card I was designing, found Scrapbook MAX!and with hours I was totally hooked! 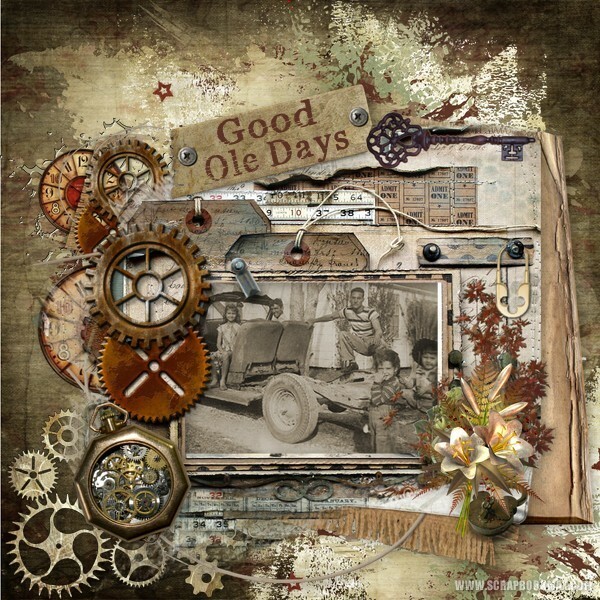 My favourite scrapbook styles are vintage and romantic looking. I love flowers, lace, ribbons, bows and pearls, anything pretty and cute too! My favourite all time designer is Silvia Romeo. I spend hours trying to design like her. She definitely challenges me to make new items and look at things in a different way. She really does the vintage look perfectly! Currently I have several projects on the go (confused chaos works for me lol). I am working on a kit for the guys, a vintage kit, and I have something in the pipeline which is bright and cheerful. Diversity is always fun! This one is by Eye (Irene) – I love her style. She takes a kit and totally transforms it into her own unique style. 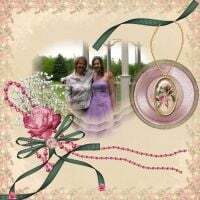 She has given me so many great ideas for embellishments over the years just by the way she can think outside the box. This is by Marion. I just love her sense of humour. She can tell a complete story on her pages with little effort. Finally, there’s this one by Lindaathome. She is a scrapping machine! I love the diversity of her pages. Every single one is well thought out and balanced. Each month a designer shares a freebie with Groove Readers and challenges you do to something fun with it! Find Fiona’s “Summer Fun” freebie and challenge here! This is your chance to get a few of our profiled designer Fiona Storey’s favorite kits at a great discounted price! Four of Fiona’s kits (pictured below) will be featured in our store all month long, and you can get them for 20% off! All you need to do is go to the Featured Content section, add $10 worth of kits to your cart and type in the coupon code SUMMER (mix and match featured kits and anything else in the store for your $10 order!). Offer expires July 31, 2012 – full details above! …plus there just may be an extra challenge or two in the mix! GREAT DEAL ON SUMMER KITS! It’s one of the greatest digital scrapbooking deals going! 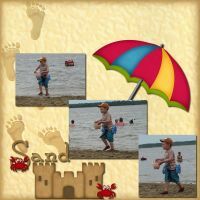 The ‘Summer Vacation’ Scrapbook MAX! 2.0 Expansion Pack has everything you need to make awesome summer pages – professionally designed summer-themed template pages, paper scraps, embellishments, and backgrounds! It’s packed with digital content valued at over $100 – and it’s yours for only $19.95! Check out the What’s Included page to see everything you get. Please note that the Summer Vacation Expansion Pack requires Scrapbook MAX! 2.0. 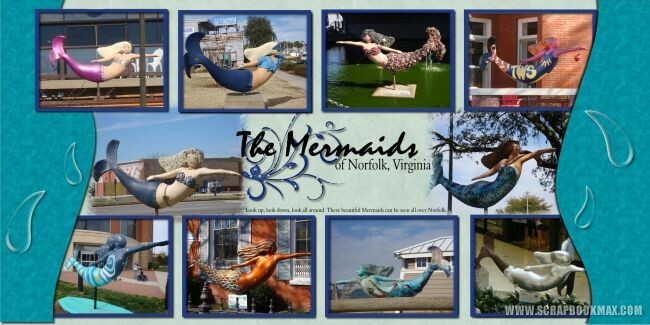 We love this mermaid-themed by Letha! How cool is this? Makes us want to dive right in and go swimming! Look for the next issue of The Groove on August 1, 2012!